WOW!!!!! 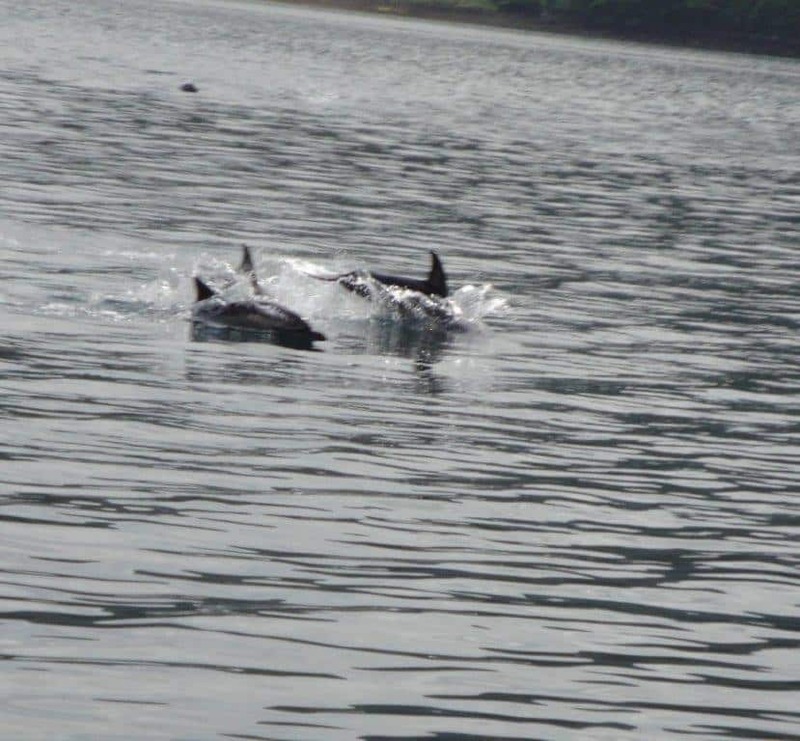 We’ve had somewhere between one and two dozen dolphins playing off the West coast of Waternish today. I spotted tham around lunch time around the Carnach area and they were around for about three hours, but I have also been told that they were seen slightly further south during the morning. They were dolphins rather than porpoises as they were jumping right out of the water, I heard one of them smashing back into the water!